Portable Indoor Air Quality CO2 Meter, offered by us, measures carbon dioxide, temperature, humidity, dew point, and wet bulb. Our Portable Indoor Air Quality CO2 Meter features a user programmable audible alarm with built-in RS-232 interface for capturing readings on PC. 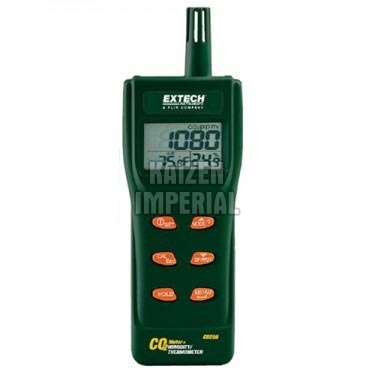 Portable Indoor Air Quality CO2 Meter also has a maintenance free non-dispersive infrared CO2 sensor.